A wonderful Aboriginal, Contempory Art Painting in Acrylic, titled Woman’s Dreaming, painted by Eunice Napangardi (1940-2005) and assisted by Maxie Tjampitjinpa. (1945-1997) These two talented and known artists excelled in painting these type of Acrylic Contempory Paintings. 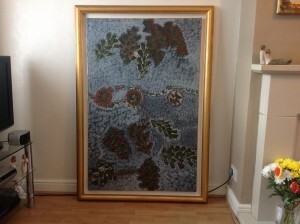 This painting has some provenance with original receipts of purchase and a valuation letter from Corbally Stourton Contempory Art, London dated 1992. (more photos by email on request) Will only sell in the U.K. Please phone/contact for details. ….Willing to except near offers on our price…..
Dimensions: Frame: 1.485mm. h. x 1.025mm. w. approx. measurements. Payment for this is by Bank Transfer, (details given on request). 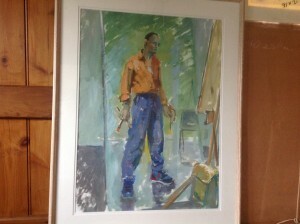 Price: £895.00p, includes delivery to mainland UK only.